The technique known as gap analysis is widely used in the TOGAF Architecture Development Method (ADM) to validate an architecture that is being developed. The basic premise is to highlight a shortfall between the Baseline Architecture and the Target Architecture; that is, items that have been deliberately omitted, accidentally left out, or not yet defined. A key step in validating an architecture is to consider what may have been forgotten. The architecture must support all of the essential information processing needs of the organization. The most critical source of gaps that should be considered is stakeholder concerns that have not been addressed in prior architectural work. Add to the Baseline Architecture axis a final row labeled "New", and to the Target Architecture axis a final column labeled "Eliminated"
If it was correctly eliminated, mark it as such in the appropriate "Eliminated" cell. If it was not, an accidental omission in the Target Architecture has been uncovered that must be addressed by reinstating the ABB in the next iteration of the architecture design - mark it as such in the appropriate "Eliminated" cell. When the exercise is complete, anything under "Eliminated" or "New" is a gap, which should either be explained as correctly eliminated, or marked as to be addressed by reinstating or developing/procuring the function. 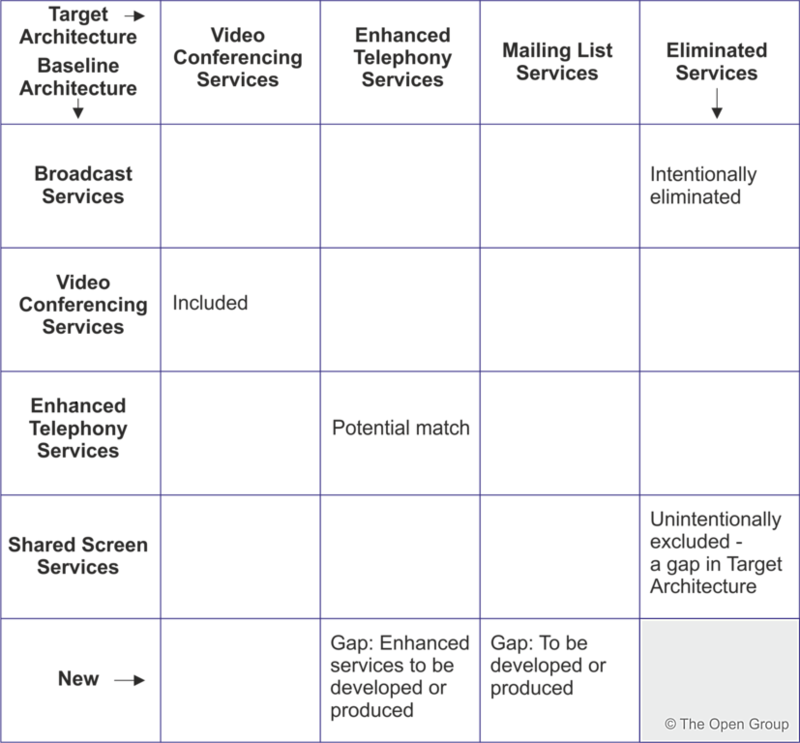 Figure 23-1 shows an example analysis for ABBs that are services from the Network Services category of the TOGAF TRM, and shows a number of services from the Baseline Architecture missing from the Target Architecture. Copyright © 1999-2018 The Open Group, All Rights Reserved.